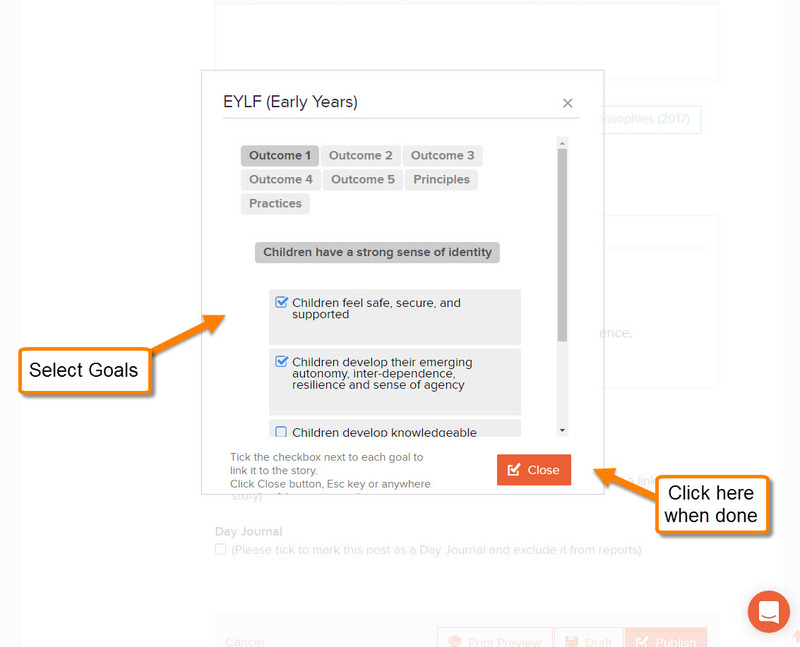 You can link a child's learning story (or a plan) to any Curriculum Goal or Outcome set. This is a great way to record evidence of development or learning. 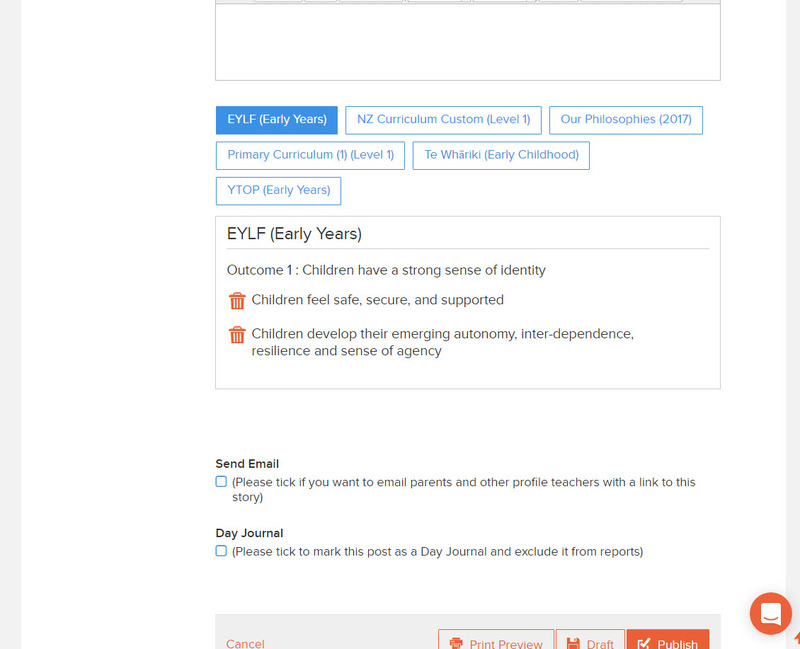 Parents see these links - this helps them see the progress being made and supports continued learning at home. Why Can't I See My Curriculum in Story Edit Mode? 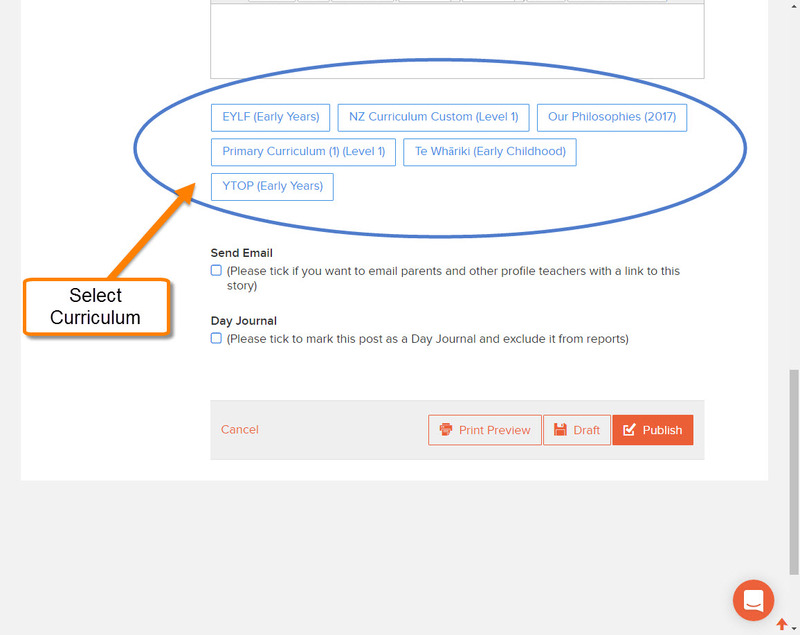 To make a curriculum visible in story edit mode (and therefore available for linking), your Site Admin needs to activate it in your Curriculum Library here. Link your story as follows.  2: Scroll down to see the curriculum available for linking. Click on the first curriculum you want to link to. The popup opens the curriculum. 3: Click the tabs and navigate to the goal you want. Check the box. 4: Repeat, then "Close" once you have selected your goals. Once you have closed the window, the goals you have selected will appear in the story as shown below. You can link to multiple Curriculum by following steps 1 through to 3 again. You can also remove a goal by clicking on the orange trash can icon. Note, this same process applies to teachers want to connect their teacher story posts to professional teaching standards in the Curriculum Library.